I prefer the term “co-create” because it signifies something that many don’t realize when they’re manifesting: YOU taking action. 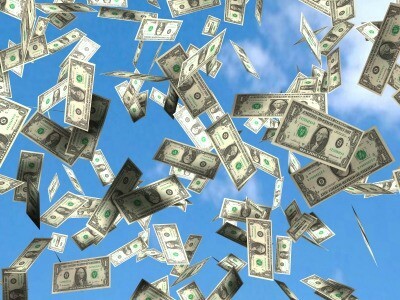 One of the most common things people want to manifest is money. This is understandable. After all, money does make the world go ‘round. And, with this shift towards spiritual growth, being an entrepreneur, online businesses and getting away from the 9–5 because of how unhealthy and all-consumingit can be, money is a huge focus. Entrepreneurs are looking to replace their corporate incomes and even surpass their former incomes by tens or hundreds of thousands. This doesn’t make them greedy; it makes them realize that the world is theirs for the taking, and they are definitely taking. So, what are the steps to co-creating a specific amount of money? The first is sending my intention out to the Universe. So, if I want to manifest $10,000 in one month, I will say it outloud to the Universe, or I will write it in my journal, or I’ll simply think it. This next part is important. The second step I take is letting it go. This is crucial. The more you dwell on your intention, the more the Universe feels this energy of desperation, and the more your co-creation will be pushed out in time. Letting go shows the Universe trust. One way I suggest letting go is by having something called a “God box.” You can name it whatever you want, but have a box where you take a piece of paper, write your intention, then place it in the box and forget about it. Make sure you don’t write the same intention twice. Doing so will further show the Universe you aren’t trusting that your intention is on its way. You can also write your intention down and burn it (if you can do so safely), or write it down and rip it up — either than throwing the paper our or flushing it down the toilet. This signifies the act of “letting go” of the intention. Another important step is giving your money a purpose. You need to do this down to every last dollar. You can do this two ways. First, list all of your non-negotiables — these are the things you have to pay every single month. Then, list things you would like to do, such as put away savings, invest in stocks, put away for retirement, purchase clothing, go to a spa. Add all of these things up, and that final number is your goal for the month. Or, you can set a goal for the month. Pick a number that feels scary, but not too scary. That feels doable, but not too doable. Pick something you’ll have to work for. Then, do the same steps: Add up your non-negotiables and see what you have left. Take that cushion and dedicate it to savings, retirement, stocks, clothing, spa days, etc. Giving your money a purpose shows the Universe you are clear and specific on what you want. And, if you study the Universe, manifestation, and the Law of Attraction, the Universe loves specificity. So get clear. Massively clear. Finally, and this is the part most people forget, take action. You can’t say you want $50,000 one month and then expect it to just show up in your bank account if you aren’t working or taking the steps to build your business and sell your products or services. Take action that feels good to you — aligned action, if you will. While you are taking action, the Universe is seeing that you are doing your part to create your intention, and she, in turn, will do her part in bringing your intention to you. By following these steps, I have no doubt you will be able to co-create the income of your dreams. I’ve followed them myself and created massive amounts of money — more than I made during my corporate gig as an attorney. Remember: Intention. Let go. Purpose, clarity and specificity. Aligned action.